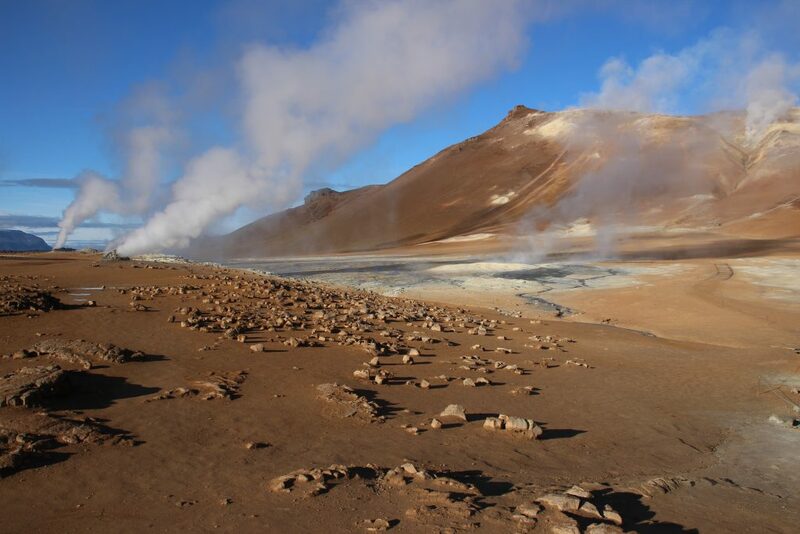 A journey around Iceland, which offers you an insight into the country, its nature and people. 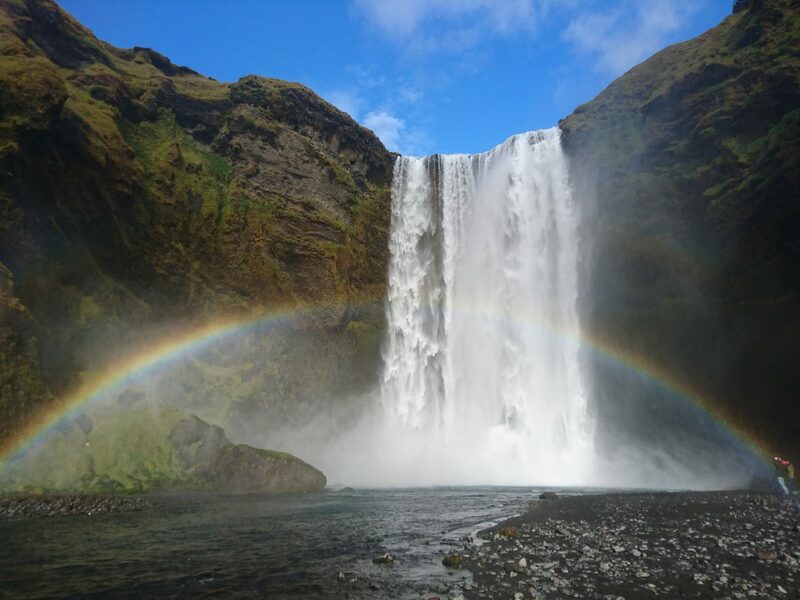 Enjoy Iceland’s unspoiled nature, fresh air and specialities. 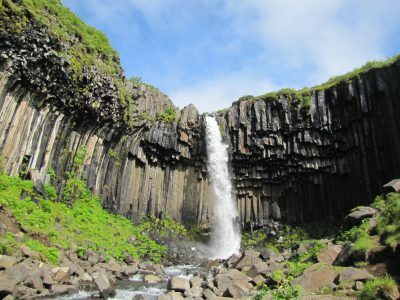 Together we will discover glaciers, waterfalls, lava fields, volcanoes and much more by bus and on foot. Day hiking trip to the nearby highland, a massive wetland area with lots of lakes. In the evening relaxation in a natural hot water swimming pool. (B, P, D). 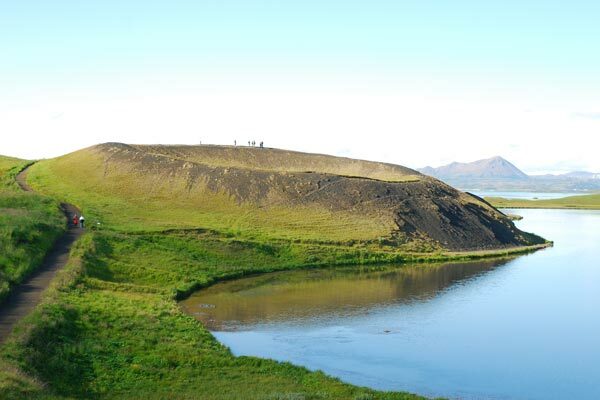 We drive along the highland route Öxi to Iceland’s oldest fishing village ”Djúpivogur” with its 1069 m high basalt pyramid “Búlandstindur”, which is said to be one of the “earth energy points”. A relaxing day with easy hiking along the coast and in the mountains and afterwards a visit to a local hot pot. 1 night accommodation in the area. (B, D). Today, we will be driving along Europe’s biggest glacier “Vatnajökull” and will have a short break in the fishing village Höfn. Our destination today is the wonderful Natur wonder glacier lagoon “Jökulsárlón” where a lot of Icebergs drifting around. Overnight stay in a guesthouse with hot tub. (B, D). Later we will drive through the great sand deserts and on to the mainly flat agrarian area in the south of Iceland and have a stop in the village Vík, located at the coast, where we can see the gigantic surge of waves at the black beach. We visit also the waterfalls Skógarfoss and Seljalandsfoss. 1 night in the area. (B, D). Transfer to the airport and goodbye to Iceland or you can make your own arrangements to stay longer and see the capital Reykjavík. 12 nights in simple guesthouses, farms, hotels with double rooms. Single on request, 3x with private bathroom, otherwise shared bathroom, extra charge 690.-EUR, triple rooms upon request.